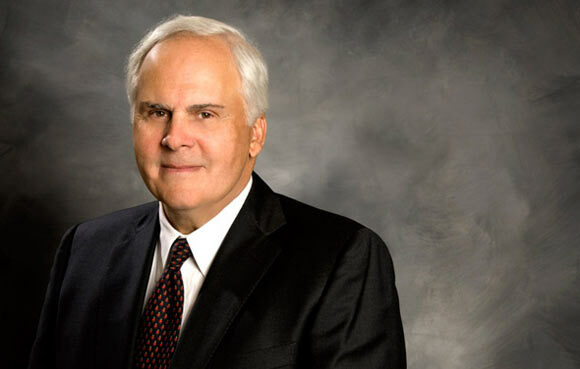 Frederick Wallace Smith better known as just Fred Smith is the founder, president, chairman and chief executive officer of FedEx which is short for Federal Express. He is an avid entrepreneur whose idea created a global sensation making him a billionaire. Smith was born on 11th August 1944 in Marks, Mississippi. Since childhood he was very interested in planes and flying. In 1966 he graduated from Yale University with a degree in economics. Soon after graduation he enrolled in the Marine Corps. He took full advantage of his time there by seeking every opportunity he got to understand a working logistics system and the processes of delivery and procurement. At Yale he had written an economics paper in which he had explained his ideas of an overnight delivery service. However his teacher had given him a C for the assignment because according to him the idea was not practicable. In 1971, Smith decided to test the practicality of this idea. He used the money left to him by his father and started Federal Express.Fred Smith wanted to provide a courier service that was of a better standard than the regular postal service. He recognized the niche in the market as people wanted their parcels to be delivered quicker and on time. At first the company began with the simple goal of delivering the package overnight and in intact form. The best thing was that the service was being provided at a reasonable cost. Today FedEx faces a lot of competition with the creation of several new courier services. Other advances such as the fax machine and the internet which allows people to use facilities like e-mail has also slowed down the profits. But FedEx has an edge because they have their own airplane fleets so they don’t have problems related to commercial carriers. Fred Smith was also a quick adapter so he responded to the changing market trends with intelligence. He switched his focus to items that could not be sent by e mail or fax. In rough times Smith lowered his own salary along with salaries of other top executives. It is safe to say that it is because of Smith’s smart moves that FedEx became a $42.7 billion business(2012 revenue) that operates in 220 countries. His airplane fleet consists of 697 planes and 80,000 vehicles. He was speculated to be appointed the Defense Secretary in the Bush Administration but he did not accept because of medical issues. Smith did not get discouraged just because his professor thought his idea was not great. He proved himself by moving ahead and creating one of the biggest transportation businesses in the world. In 1998 he was inducted in the Junior Achievement U.S Business Hall of Fame. He received the CEO of the Year Award from the Chief Executive Magazine in 2004. He also got the Kellogg Award for Distinguished Leadership in 2008 and Bower Award for Business Leadership in the same year. In 2011, he received the Tony Jannus Award for his significant contributions to commercial aviation. Fred Smith according to Forbes is now worth approximately $2.1 billion(March 2013).